indexmotion is designed to support anyone with an index idea or benchmarking need, ranging from tier one banks looking to outsource their own indices to ETF/ETP providers developing new and unique products. indexmotion offers the client oversight of the design, calculation, distribution and commercialisation to develop an idea into a fully-managed commercially distributable solution. .
A dedicated team will provide support resulting in a more efficient delivery process and a significantly reduced time to market. 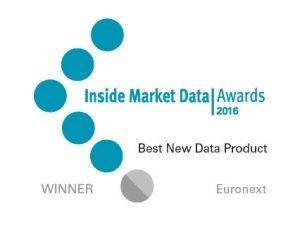 Moreover indexmotion has a very broad reach as the index data can be distributed over the infrastructure and network of the 400 authorised data redistributors that deliver other Euronext data products. All information regarding benchmark statements of indices for which Euronext is the Administrator can be found on this dedicated page.